Last month we did a math unit on making change up to $1.00. Students practiced identifying coins by name, size, shape, president, front, and back characteristics. As students rebuilt their basic money identification skills, they were able to learn how to count change using different denominations. It's important that our little kiddos have their basic math counting skills, being able to count by 5s, 10s, and 25 intact to help them better understand the process of making change. We needed to take a few days to practice counting by 5s's to help rebuild automaticity (Ex: 35, 40, 45, 50.....or 85, 90 85, 100, etc). Students also needed additional practice counting by 10s when trying to add on to a quarter (25, 35, 45, 55....or 75, 85, 95, etc.). After a few times of practicing students were able to pick up on the skip counting strategy. 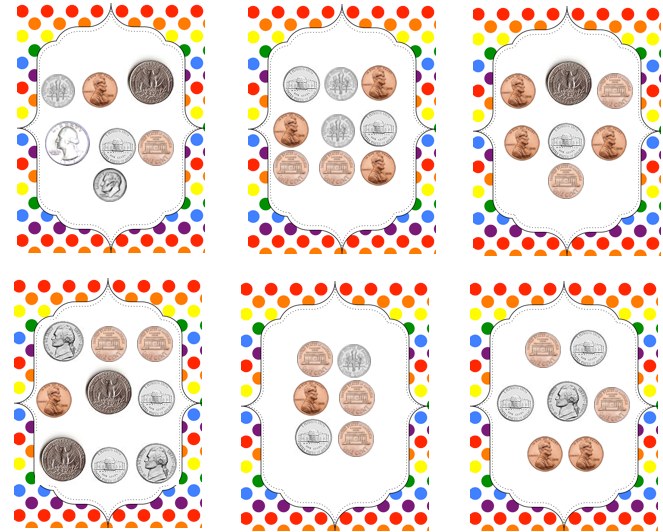 We then had students practice making change with two denominations for a day, and then started practicing making change using three and four denominations up to $1.00. For some of our more struggling students we pulled out a hundreds chart to help with the skip counting, and to show how to change the counting pattern for different denominations. 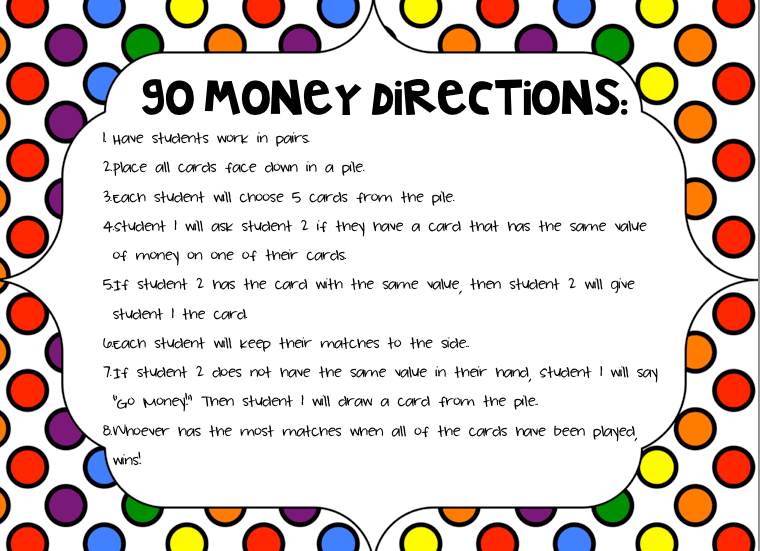 Once students were able to pick up the skill of changing denominations more independently they were able to play some interactive partner money games. 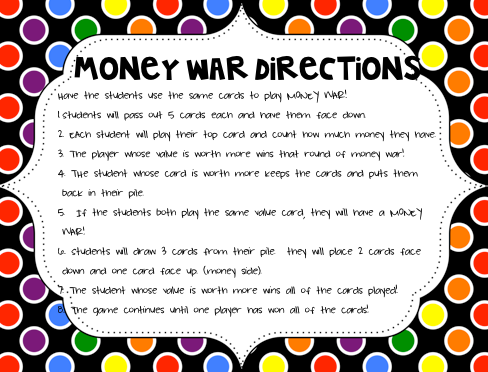 I created "Go MONEY" and "MONEY WAR" games to reinforce making change up to $1.00. Both games are typically familiar to most students, so I thought by using the same game concept with a math skill they are learning was a great way for them to have fun and practice an important life skill at the same time! You can use the same set of playing cards for both games! I love that you can get more than one use out of the cards! All you have to do is print on card stock, laminate, and they are ready for a center! I would make a few classroom sets so that you can have multiple pairs of students playing at one time! 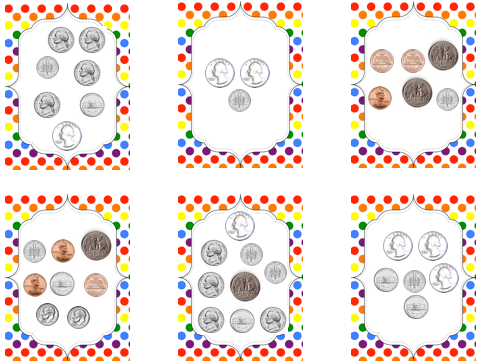 Click on the images below to get a copy of "GO MONEY" and "MONEY WAR" playing cards!